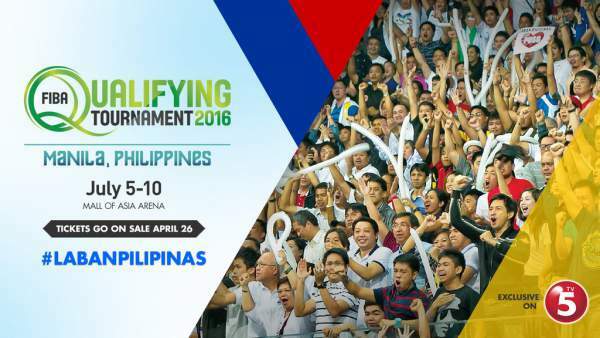 Tickets: 2016 FIBA Olympic Qualifying Tournament in the Philippines - Balita Boss! Ticket prices for basketball fans attending the FIBA Olympic Qualifying Tournament in the Philippines will start at ₱200 for general admission and ₱400 for the upper box sections. The FIBA Olympic qualifier will take place in Mall of Asia Arena in Pasay from 5 to 10 July 2016. Gilas Pilipinas, the Philippine National Basketball Team, is set to play on July 5 against France and on July 6 against New Zealand, with both games scheduled at 9 pm. Tickets are scheduled to go on sale on April 26, the Samahang Basketbol ng Pilipinas (SBP) announced on April 12. Tournament Passes to watch all the games in 5 competition days will be on sale starting April 26, 2016 until May 15, 2016. Single Day Passes or Gameday Tickets will be on sale starting May 16, 2016 until it is Sold Out. For list of SM Ticket Outlets, visit https://smtickets.com/outlets. On game day, a minimum of 500 single day passes for General Admission Section will be available at the Mall of Asia Arena ticket booths, according to FIBA website. 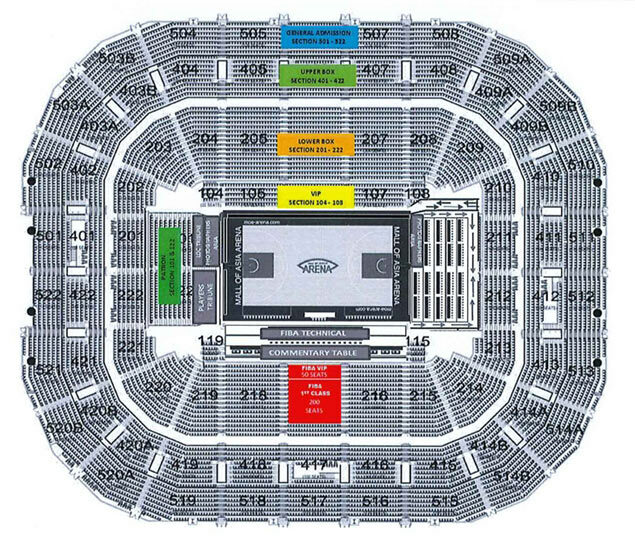 Here’s how much tickets for the FIBA Olympic Qualifying Tournament in the Philippines.